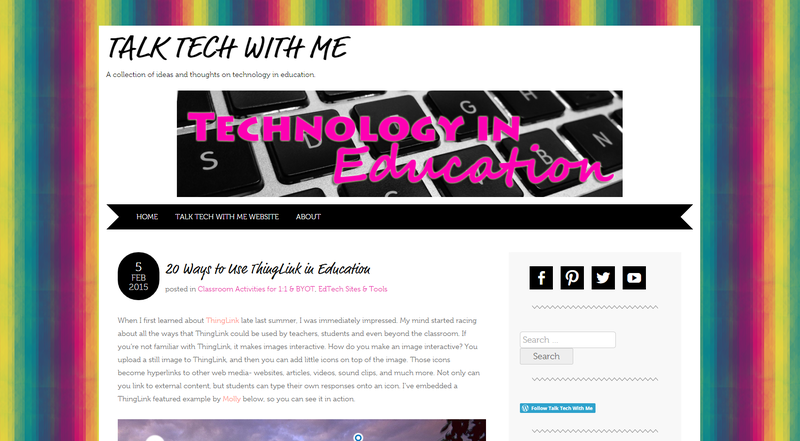 Talk Tech With Me | A collection of ideas and thoughts on technology in education. After thinking for a long time and renewing my blogging vows, I have decided to combine my blog and website into one space. I liked certain things about each platform I was using (wordpress.com and weebly) for each space and purpose. I still think they’re both fabulous resources, and I would highly recommend both of them. I just wanted to have a little more control over my blog, which is where I focus most of my energy, and it made sense to bring them both into one if I’m going to be upgrading and paying for another online space. I don’t plan to take down my talktechwithme.wordpress.com blog because a lot of other blogs and sites have linked to my posts here. However, this will be the last post published on the “wordpress.com” site. I will continue to update my blog at talktechwithme.com (just remove the .wordpress), and all of my existing blog posts have already been transferred over. If you landed on talktechwithme.wordpress.com, just click the “Talk Tech With Me Website” button above to be taken to talktechwithme.com. If you’re on talktechwithme.com, you’re in the right spot; check out my new digs! It’s still a work in progress (I’ve got to transfer all my old website resources over to the new place still), but so far I’m happy with how the redecorating is going. If you come across any links that are broken, please let me know by commenting on that post or page. To all my followers who follow the blog via email, you can sign up to receive the emails again in the sidebar on talktechwithme.com (they should keep coming, but just in case). I’m looking forward to this next step in my reflection and blogging journey! When I first learned about ThingLink late last summer, I was immediately impressed. My mind started racing about all the ways that ThingLink could be used by teachers, students and even beyond the classroom. If you’re not familiar with ThingLink, it makes images interactive. How do you make an image interactive? You upload a still image to ThingLink, and then you can add little icons on top of the image. Those icons become hyperlinks to other web media- websites, articles, videos, sound clips, and much more. Not only can you link to external content, but students can type their own responses onto an icon. 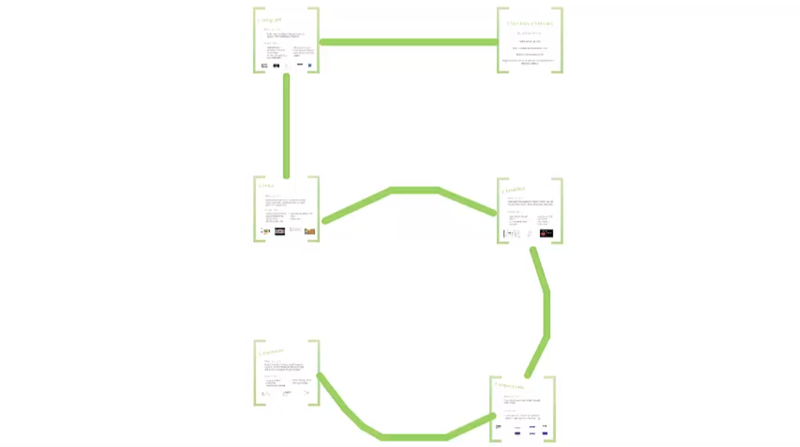 I’ve embedded a ThingLink featured example by Molly below, so you can see it in action. Now tell me that isn’t AWESOME?! So, now that you’re hooked, what are some of the ways you could use ThingLink in your classroom? I’ve just included the tip of the iceberg below; the ideas are truly endless. Have students create one for a summative assessment in place of a typical test. Use a book cover image and have students include links about the book, characters, plot, etc. for an end of book project. Use the image of a map, and include links with information about the area, like this one, or this one, or this one. Use an image of a person or character and include links about their life and their important contributions to history or the topic being covered. Include an image of a body system and include links about how it works. For example, the skeletal system. Foreign language teachers (or ESL/ELL classrooms) could use an image of a familiar scene, like a family cooking in the kitchen, and include links to recorded sound clips about what’s going on in each part of the picture in the language being studied. Create a “getting to know you” ThingLink using a group photo and include links to teacher’s websites, bios about seniors for senior night, etc. Use it as a beginning of the year/course ice breaker by having students upload a picture of themselves and including links to content that describes them and things they like. Students can comment on one another’s published ThingLinks. Search the database of ThingLinks others have created and shared to see if there’s already something out there you can use. Create an entire lesson in one ThingLink, by including links to sound clip instructions, video content and links to assignments or quizzes. See a great example here. Use the image of a book cover and include a video link to the book trailer to preview the book before reading it. Scan and upload an image of a worksheet, and include links to videos and websites that will help them solve the problems/answer the questions if they get stuck. Have students create a portfolio by linking to their work in all other webtools you use in class: blog posts, videos they created, scanned images or pictures of non-digital work. Depending on how big your school is, you could create and upload a map of your school. Then include a link over each classroom to information about that teacher, like their Twitter handle, class website, class LMS page(s), a written bio right in ThingLink, a recorded welcome sound clip from that teacher, etc. 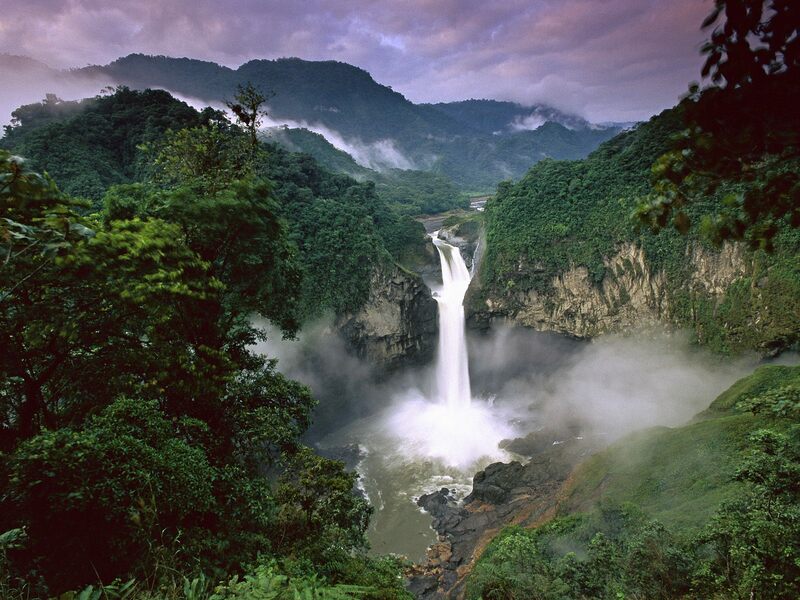 Create an image collage, upload it to ThingLink and then include links about each image. For example, you could create a collage of different geographic land forms like this one. Upload a picture of the periodic table of elements and include a link to a video or information about each element (or the ones you’re studying at the time). Sort of like the Periodic Videos site. Include links to videos demonstrating how to preform certain skills, like this push up example. Upload an image of your school and include links to information and videos about your school: clubs and activities you offer, your mission statement, academic offerings, promotional videos, and more. Then embed it on your school’s website! Put a twist on Friday’s current events discussion by asking students to not only find an article, but find an image that relates to their chosen event/topic, upload it to ThingLink, include a link to the original article as well as other links, videos, etc. that relate to the article and what you’re studying in class. You could even ask the students to include a link to an audio recording of themselves discussing their current event. Create instructions for a new website, device, or process like this one. One of the things I like the most about this tool, is that no matter the project or access to technology, you can incorporate ThingLink into your class. You, as the teacher, could create one that students will use to preview/review information or complete an assignment. Students could work in groups or on their own to create one, depending on their access to technology and devices inside and outside of the classroom. If you have very little access to technology in your classroom and you still want students to create their own, you could assign individual students or groups pieces of the project to research and prepare. Then have the groups take turns adding their links to the full class ThingLink image. As you can see with how all over the board these ideas are, there are so many ways you could use this tool in an educational environment. How are you using ThingLink with your students and in your schools? If you’re using it, please share a link to an example in the comments. There’s no hiding from it anymore. It’s either already sucked you in, or it’s coming for you. There’s even an entire huge initiative and month dedicated to using it to connect you with other educators around the world. 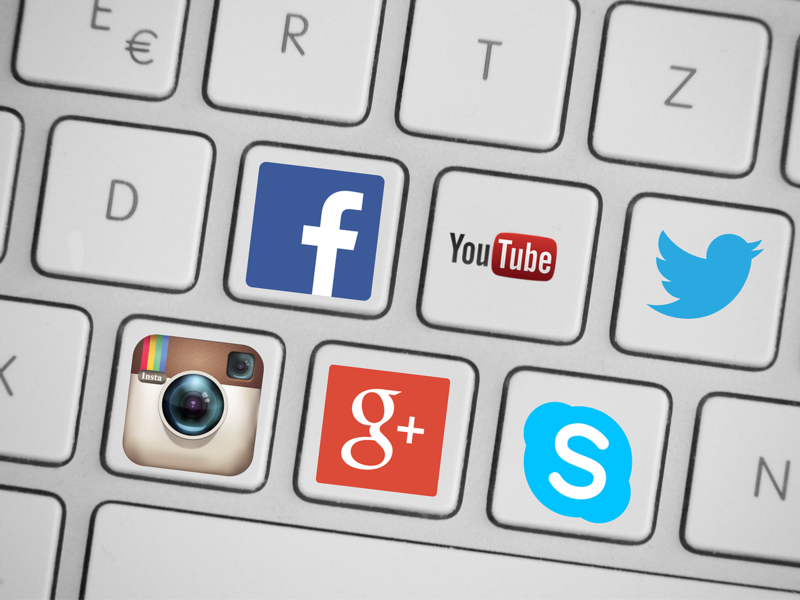 Social media may evolve and change over time, but it is here to stay. So, if you’ve resisted joining any social media sites (or using them professionally) until now, you can stop running from them… this isn’t the Walking Dead: social media apocalypse. All kidding aside, there are some things professionals should keep in mind when using social media, especially educators because we are always held to a higher standard in the public eye. I mainly use Twitter for my PLN, but these tips can apply to any social network. Don’t be afraid. Being cautious and smart is different than being afraid. If you’re afraid to even get started and sign up, or once you sign up you’re too afraid that something bad will happen to use the account at all, you will never fully understand or benefit from it. I’m not saying be willy nilly and don’t give anything a second thought before posting, following or ‘friending’. Just be open to it, give it a try, and don’t over think everything that you’re keeping yourself from ever posting or connecting with others. Only post things you wouldn’t mind showing up on the home page of your local newspaper… or the New York Times. It’s way too easy to fire off a tweet or Facebook post in a fit of anger when you’ve been wronged. It’s also very easy to post a status or picture that was funny in context with a small group, but wasn’t the best thing to post on the internet for all to see. Some things should still be kept private among a group of friends. You don’t want to be the next negative educator headline, so make sure you are using your absolute best judgement. Actually, think of the most responsible person you know who always makes the right decisions. Use their absolute best judgement. If the thought I wonder what Suzy Q will think of this or will anyone think this is inappropriate crosses your mind, then don’t post it. Remember, this includes things you “like,” favorite, retweet, share, are tagged in, etc. Think long and hard about setting up a separate professional account or not. My personal recommendation is to have a separate account. Remember, I mainly use Twitter, so that’s what I’m referring to most here. It is actually against the terms and services to have a separate Facebook user account, which is why I really don’t use it professionally. I understand the argument for being transparent and not separating accounts, but sometimes I just want to keep my personal life separate from work. My family and friends don’t care about the latest formative assessment web tools and my PLN does not care about who’s wedding I’m in or attending this weekend. If you decide to go with two separate accounts, the newspaper headline tip applies to both accounts equally. I’m not telling you which way to go here, just telling you my personal belief and suggestion. Post about your subject area, your school, your class, education and teaching in general, etc. Remember you’re trying to use social media as a professional tool and resource. I’m not saying it’s never okay to share some personal stuff, but you’ll build your PLN much faster if you’re talking about stuff other like-minded educators care about on a regular basis. You also want to make sure you’re talking about these things in a positive way. Talking about a great program your school is putting on next week is an awesome way to use social media. Talking about how poorly run the faculty meetings are at your school is a terrible idea. That being said, the point of your PLN is to share ideas, resources and get some help on different issues when you need it. I would just be careful about the way you phrase those requests for help… remember the person who plans and/or runs those faculty meetings you’re displeased with may see your posts. You might ask your PLN during a twitter chat how they make the most effective use of their time together in faculty meetings or ask if anyone has had success flipping faculty meetings to take ideas back to your building. Boundaries still apply. Be careful not too blur the lines of educator and student/parent relationships if you use social media to communicate with students and parents (which is one of the great reasons to use social media, but not the only way you can use it professionally). This is one that you’ll have to use that responsible person’s judgement from tip #2 again to be your blurred lines guide. Make connections and grow your PLN. I go back to tip #1- don’t be afraid. Don’t be afraid to reach out to other educators on social media that you may have never met in person. Find other teachers who teach the same subject or grade level as you or other administrators in your position and add them to your PLN. Request to connect with them; accept when they ask to connect with you. Try participating in a Twitter chat (you can just lurk the first time to get comfortable)- this is where the power of using Twitter professionally comes from, in my opinion. Try searching Twitter for a hashtag or chat that relates to your subject/grade to help you find some people to follow. If someone is using an abbreviation or hashtag that you’re unfamiliar with, ask them what it means. Connect, ask, share, grow. Aside from the tips above, I do recommend educating yourself about best digital citizenship practices beyond these six tips. If you’re looking for ideas on how to incorporate social media into your professional lives (especially school administrators), I recommend reading Eric Sheninger’s Digital Leadership and checking out my Twitter resources. And of course, don’t forget to connect with me! What other tips do you have for educators on social media? In February, our district will begin state testing. Once testing begins, there will be at least one grade level in at least one school in our district testing every single school day until May. This big span of time marks the third round of testing this year. We are not alone. Toss that around in your head for a minute or two. I’ll spare you my soap box about too much testing and where the focus has gone in education; you likely feel the same way (if you’ve got some time, or you’re just as passionate as I am about these issues, I do suggest you head on over to Nancy Chewning’s blog response to TIME Magazine’s Rotten Apples article that was featured in the Washington Post). However, it is worth mentioning for the point of this blog post that with so much time dedicated to state testing, which influences districts’ report cards and teachers’ evaluations, there obviously becomes a heavy focus on testing and preparing students for the test. Teachers are working so hard not to teach to the test, while at the same time making sure students are as prepared as possible for the tests- the scores of which will directly impact their own livelihoods. I’ve gotten a lot of questions the past few months for websites that teachers can use with students to help them practice the PARCC tests and the digital skills needed for these tests. Many students in our district have had very little experience with technology outside of the school building. Even inside the buildings teachers have to share carts, so it is possible for students not to use any devices for a day or more at a time. Teachers and administrators want students to practice skills like typing, using the trackpads, dragging and dropping, typing in text boxes, etc., so they are prepared for test day since they have had such limited experience with these skills. Many have asked for practice test sites, which mirror the actual tests in order to practice these digital test skills. I wholeheartedly agree that students should be exposed to these types of activities before seeing it for the first time on a high-stakes test. But I do not think students should be practicing these skills alone, with the exception of learning to keyboard initially. Take the following example. When you learned to drive, you learned what to do at a traffic light: red means stop, yellow means slow down (or speed up for some lead-footed folks), and green means go. You did not have to practice driving in a new city before you could actually drive there and navigate those traffic lights, right? You now apply your traffic light knowledge when you approach all traffic lights, even though they may not be on the exact streets where you initially learned to drive. If I am creating a digital learning environment for my students to the best of my ability and with the resources available to me, at the very least they will have experience with text boxes, dragging and dropping, using a trackpad and more. If I’m a math teacher, I can create lessons where students are measuring the angles of a baseball field using a protractor and other digital manipulatives. If I’m an English teacher, I can have students use the TextHelp Study Skills add-on in Google Docs to highlight certain parts of speech in certain colors to practice using a highlighting tool. These examples would give students real experience using those specific tools on a regular basis- not just experience using them on a practice test question inside of a practice test. Students will learn digital test skills when they are infused in instruction; those skills do not need to be practiced in isolation. When students are familiar with digital tools and skills in your classrooms, they will be able to navigate and use the tools on any assessment- even if they look slightly different. After all, we still know what to do at street lights when the colors are slightly brighter or more dull, the posts in which they hang on are higher or lower than what we’re used to, or the traffic lights are hung on a street post near the sidewalk or above the street, correct? Our memory recall kicks into action and processes what to do at the lights, even when they are slightly different from our own home towns. The same thing goes for using digital tools on assessments if we use them in daily/frequent classroom activities and then see them on an assessment. We learn through experience. We apply what we know. We adapt when necessary. It’s been two months since I’ve written my last post. How did this happen? I really enjoy reflecting, sharing and connecting with other educators through blogging, so I’m renewing my blogging vows! I’ve made getting back to blogging one of my New Year’s resolutions. Since I’ve been gone from the blogging world, I’ve gotten some great news. 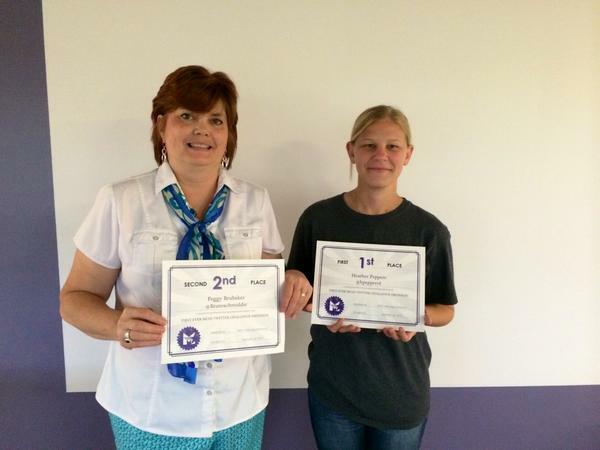 I spent a week at SOITA in November for their Google Education Trainer Camp. It was a long week of learning, studying, practicing and test taking. The application process was pretty long and had high expectations. 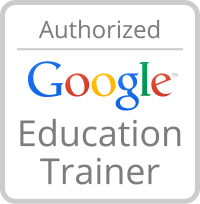 I am SO excited that I was accepted as a Google Education Trainer! 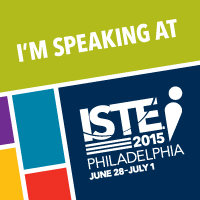 I also found out at the beginning of December that my poster presentation for the ISTE Conference this summer in Philadelphia was accepted! I have learned so much at ISTE the past two years in Atlanta and San Antonio, and I am honored to be a part of that sharing again. Last year I spoke at the EdTech Coaches playground in Atlanta. I can’t wait to take on this next experience and everything else this conference has to offer- it is the ultimate reenergizing and inspirational PD for me! It’s been a couple of crazy and exciting months. I’ve been exhausted, and it’s that time of year where we all start feeling bogged down. So it’s time to get back in the saddle, get some inspiration, hop in a Twitter chat (or ten!) and finish the year strong! What do you plan to start doing, stop doing, or start doing again this year to help you in your profession? October marked Connected Educators Month, and there were online events going on at all hours of the day, every day throughout the month. I took part in a number of Twitter chats, free webinars, and even a free course form ASCD on blended learning! Of course, the Twitter chats throughout the month were worth wile and had an abundance of ideas sharing going on. I was bummed that I couldn’t attend the chat with Secretary of Education Arne Duncan this year, but hopefully I’ll be available next year! I was also very pleased with a number of the free webinars I watched. It’s easy to start feeling like you hear the same thing over and over sometimes, but many of these webinars offered refreshing new insights and ideas (and weren’t just a sales pitch for a product)! The three I liked the most from the month were Quick Tech Ideas for Quick Writes by Joan Sedita and Alise Brann; the Disruptive Innovations in Education: Classrooms Without Walls radio show with Mike King and Tom Murray; and Flipping for Professional Learning: School Leader’s Guide to Improving Professional Development with Steven Anderson. If you have a chance to catch any of these archives, they’re worth the time! The ASCD course authored by Caitlin Tucker gave me some great new ideas to help teachers introduce a blended learning environment in their classrooms. I will admit I was a bit skeptical about how much content would really be provided in a free course, but I am happy to report that I was very pleasantly surprised! It would have been a fabulous course for teachers and administrators who had little to no experience with blended learning environments. I would definitely recommend this course if it is offered again- and even if there is a fee associated (my certificate of completion says it’s worth 20 clock hours). I was really pleased with the amount of sharing and free resources that were truly available to educators all over the world through the CEM initiative. If you missed it this year, mark your calendar for next year and start connecting now, so you’ll be ready for #CE15! Did you participate in #CE14? What did you think? In honor of Connected Educator Month, I will share what I have been meaning to write about for a month now… getting teachers connected on Twitter! In August, I led a couple of optional, face-to-face trainings on Twitter for teachers and principals in my district. Most of the resources I used for the trainings can be found on my site. (Hint: TodaysMeet worked out great to have people paste their twitter handles and follow each other during the training!) I know Twitter can be confusing to people at first, so I tried to think of a way that would encourage teachers to further learn about and actually use the powerful networking tool once we left as a group. I thought a 30 day Twitter challenge would be the perfect way to encourage the use of Twitter and make sure teachers continued to network with teachers in other buildings in the district and with educators outside of our district. I assumed I would be pleased with the results because after all, once you can convince an educator to open their mind to Twitter they’re pretty excited about the sharing going on. I never expected to be as impressed with the connections being made as I was. To prepare, I did a quick search of the hashtag we used to make sure no one else was using it and compiled a list of challenges for each day in a Google Spreadsheet. Challenges consisted of things like following other educators who teach the same subject, sharing a favorite resource for the classroom, and other quick, easy tasks. At the end of each of the trainings I told the teachers and principals about the challenge and that it would be starting the following week. Once it had begun, I tweeted the challenges each morning and afternoon. Actually, I have a confession to make. I scheduled all of my challenge tweets ahead of time in Tweetdeck! This helped me make sure I didn’t forget to send it one morning. It was that easy to get started, and it took on a life of its own. As the challenge progressed, I noticed participants tapering off, which was expected. But as they stopped completing my daily “challenges,” I noticed they kept tweeting on their own and began using Twitter with their students, staff and for their own PLNs… EXACTLY what I hoped would happen! Many teachers joined in on the challenge after it started or created their own Twitter accounts because someone in the challenge encouraged them to participate, and they heard that others were having fun with it. I made a Storify to summarize the challenge and share with others. Lead a face-to-face training first. People feel more brave and willing to step out of their comfort zone when they have a buddy (you!) by their side. This will show them the ropes and get them comfortable following people and sending tweets. Create a list of tasks that are very simple, and will only take seconds to minutes to do. Our to-do lists are already out of control, so no one wants to sign up to do something that’s going to take a long time, every day, for an extended period of time. Tasks should encourage participants to learn a new aspect of Twitter, make new connections or share new resources. Include a task that encourages participants to get their “classroom neighbor” to join, so others who did not attend your initial training can start Tweeting. Include a task that encourages participants to check out a Twitter chat, so they can see the real power in Twitter. Create a list of the tasks each day, so teachers can see what’s coming, complete their task early if needed or go back to catch up. I created my list in a Google Spreadsheet that I shared out by creating a shortened URL with bit.ly (see my challenges here: bit.ly/middie30). Offer prizes for participants and the winners! I also created a certificate of participation for every teacher who participated (even one day). If I do this again, I would probably only do 15 days. I think cutting it in half would seem like less of a commitment, and potentially encourage more people to participate. Overall, the feedback from teachers was great, and the Superintendent was very happy to hear more of our teachers were joining Twitter! In a training I led yesterday, one of the participants shared a resource she found, “on Twitter” with the rest of the teachers in her department. I was thrilled to hear that teachers are still actively using Twitter as a part of their own PLN and as a result of this challenge! How have you encouraged educators to become active on Twitter? In addition to Photographer Appreciation Month, National Roller Skating Month, National I Love Lucy Day and National Pumpkin Cheesecake Day (just to name a few), October also serves as Connected Educators Month! In short, it’s a great time to make connections with other educators around the world through formal and/or informal opportunities sponsored by CEM and the CEM partners. Last year, US Secretary of Education Arne Duncan even hosted a Twitter chat in honor of CEM! So how can you get ready to join the conversations about education with people from all over the world, expand your PLN (personal learning network) and learn a thing or two in the process? 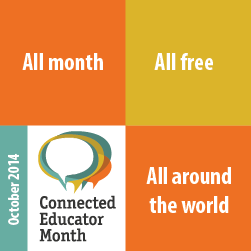 Explore the Connected Educators Month website to become more familiar with the initiative. Look at the full calendar of events and add some of them to your own personal calendar. The CEM website even tells you how you can download your personal CEM calendar to your Google calendar or your iPhone/iPad (if you register for free). If you have a Twitter account, start searching and using the hashtag #CE14 to join the conversations on Twitter. I would recommend using Tweetdeck or another similar service that will allow you to add a column to help you filter through all the Twitter chatter and keep the CEM conversations together. If you don’t have Twitter, check out my resources and create an account… yesterday! Sign up on edConnectr to get connected to other educators who share your interest. You fill out a handful of questions when you sign up that ask you about your interests, your areas of expertise, areas you could use some help with, etc., and then the site suggests people to connect with who fall in those same categories as you. Bring up Connected Educators Month at lunch, in the faculty room, at your next meeting, to your teacher friend from another building. Talk about it to anyone that will listen and anywhere that you can spread the word! After all, the power of CEM comes from millions of educators actually connecting with one another. These are just a few of the ways to get ready to participate in Connected Educators Month. How will you get ready to participate and connect? 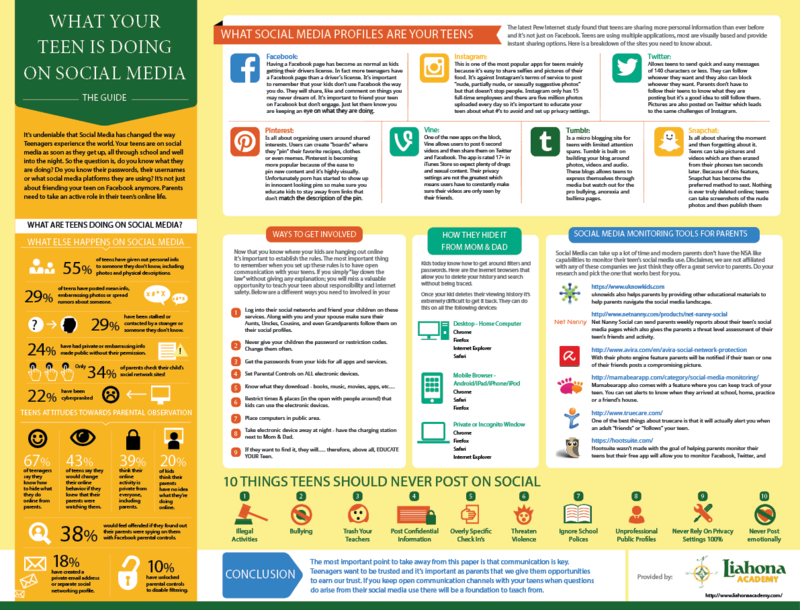 As I was browsing Twitter the other day, I came across this What Your Teen Is Doing On Social Media – The Parents Guide 2014 by the Liahona Academy. I thought it was a very relevant and current guide for parents. For any teachers or schools working to build a partnership with parents to educate and raise good digital citizens, this is a great resource! The picture below is a summary of the guide. How does your school help educate parents about social media and what students are doing on the web? Okay… so it’s less than six minutes! During June and July (and almost August), I put the 5 in 5 screencasts on hold. Well, it’s that time of year again. By no means are these five minute episodes a comprehensive overview of the tools, but it should be enough to let you know what the tool is, what it can do, and if it’s worth your time looking into and learning more about. I’m all about helping teachers save time where they can! For the videos, the Prezis, Diigo links to all the sites featured in the episodes and more, visit my website. If you don’t want to miss another episode, subscribe to the iTunes podcast channel here.